Q) Where did you grow up and what kind of education did you receive? 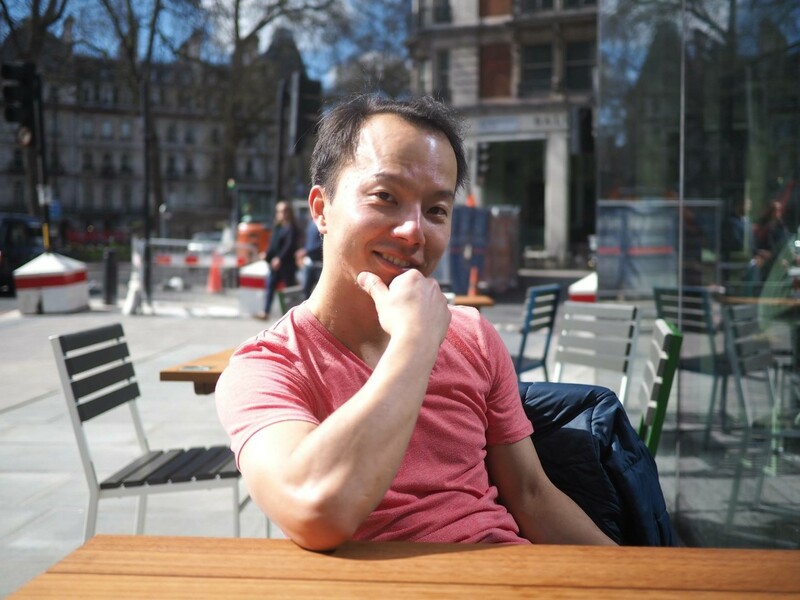 "I am from Japan and I have lived in the UK for 16 years. I grew up in Machida city in Tokyo, which is the western edge of Tokyo, and studied sociology at university. In 2002, I moved to the UK to continue and deepen my studies at Durham University. However, my artistic direction changed radically after my graduation in 2005. I remembered that painting had been my passion since my childhood. When I was accepted to the Slade School of Fine Art, UCL in 2007, these achievements developed and focused on the passion. I finished my BA and MFA in Fine Art at the Slade in 2013." Q) How long have you been working at the Tate and what's the best show you've seen there? 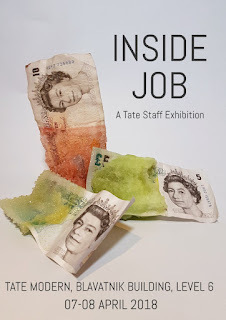 I have been working at Tate for 2 years. 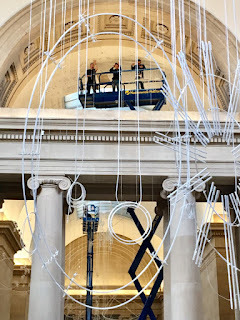 As a full-time art handler, the best show I had installed was Cerith Wyn Evan’s neon installation at Tate Britain and Picasso 1932 at Tate Modern, which is currently on. During the Certih Wyn Evan’s installation, I drove a Genie scissor lift and installed neon tubes from a 15 metre high ceiling, while reading a complicated installation map. It was the most thrilling experience. On the other hand, I am a big fan of Picasso. I was thrilled to have the great opportunity to handle his paintings and sculptures for the Picasso exhibition. It was the best opportunity for me to study his painting techniques at work. Q) What can you tell me about the work you're exhibiting in the Tate Modern show? "My abstract art comes from the experiment and discovery of how colours and marks connect each other and create harmony. 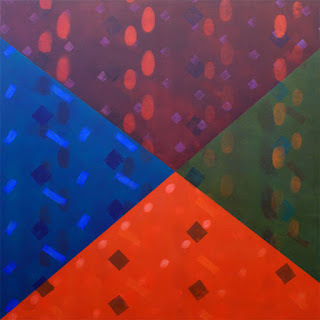 My choices of colours and shapes are based on my surrounding area in London. 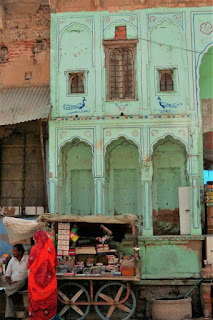 I often walk around the city, take pictures of what I find fascinating and sketch them. In December 2015, when I was walking along a canal at night, one swan suddenly appeared in the dark and approached to me mysteriously. I was really amazed to see how beautiful the white swan was. In fact, I still remember the breath-taking moment clearly. For me, the act of making art is similar to keeping a diary. 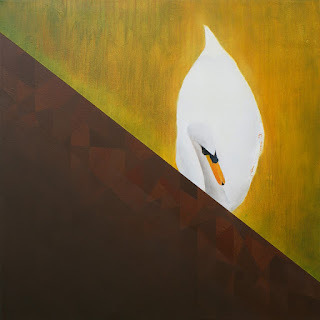 My artwork reflects my daily life and myself." 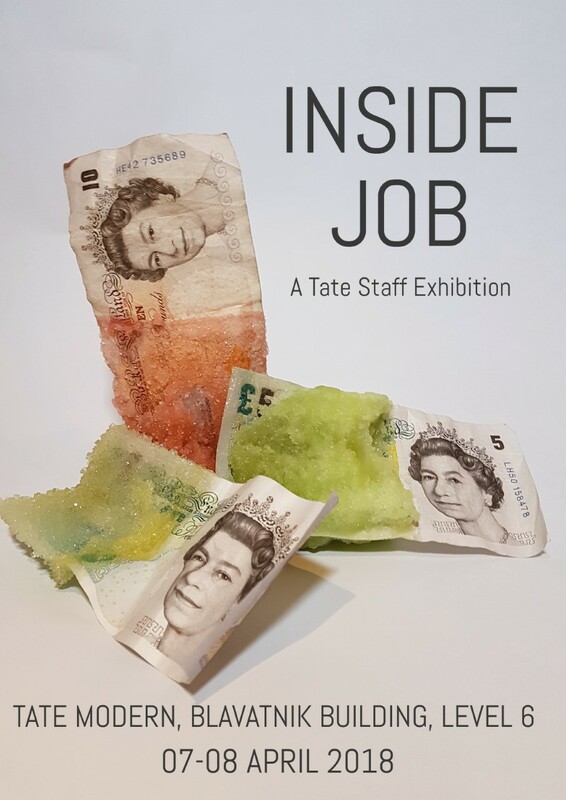 Q)What's the best thing about working for the Tate? 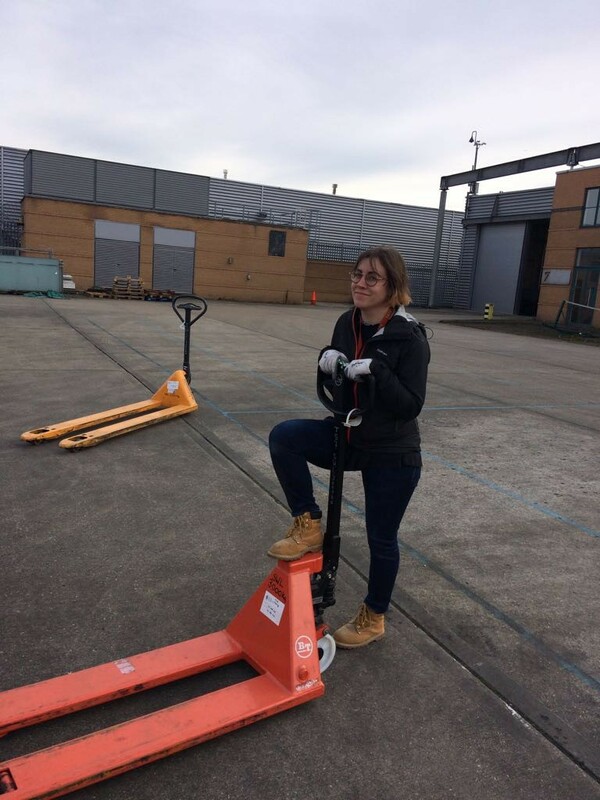 "Tate Gallery is the best place to meet new people, learn new skills, share techniques and develop careers for the future while supporting each other as a strong team. I am a member of the staff exhibition committee, and I have got to know a lot of staff I have not met before during the last four months’ preparation. I have also realised that there are hundreds of artists working at Tate. I believe that artists’ opportunities are everywhere at Tate." Q) Where did you grow up and what kind of education did you receive? "I grew up in the south of England, in Hampshire/Dorset. My parents moved there when I was 6 so I could attend a Steiner School based in Ringwood. Steiner or Waldorf education is an alternative form of education, which is based on following children's natural development, honouring the individual and learning through creativity. 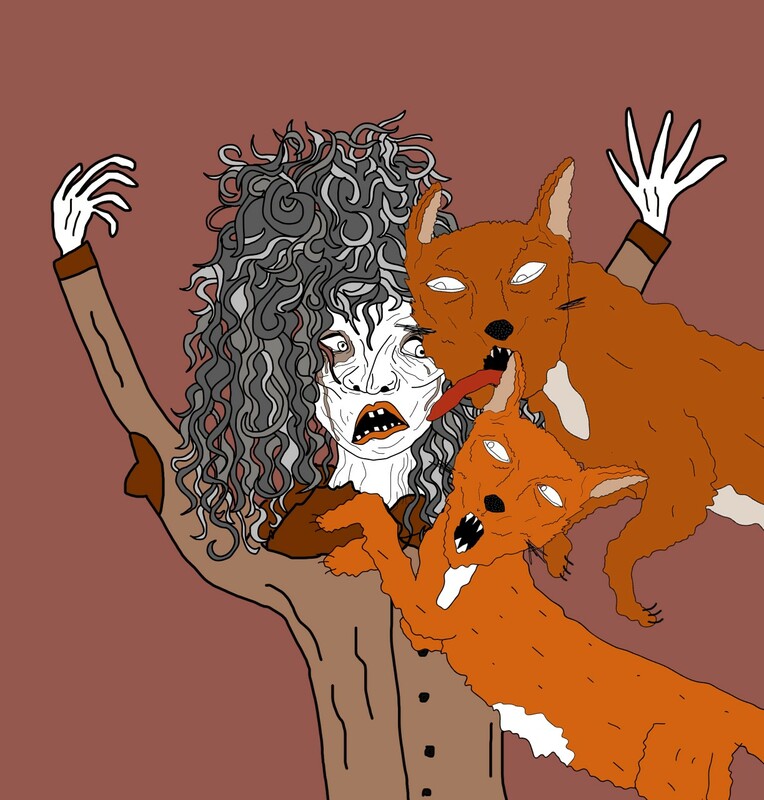 I did my Art Foundation at the Arts University Bournemouth and then I moved to London to go to the University of Westminster to study Illustration and Visual Communication BA Hon in 2011. I was lucky to have access to an incredible print room there that was barely used by the other students and to be taught by the amazing screen printer Kate Gibb. Both these things have hugely influenced my practise." Q) How long have you been working at the Tate and what's the best show you've seen there? 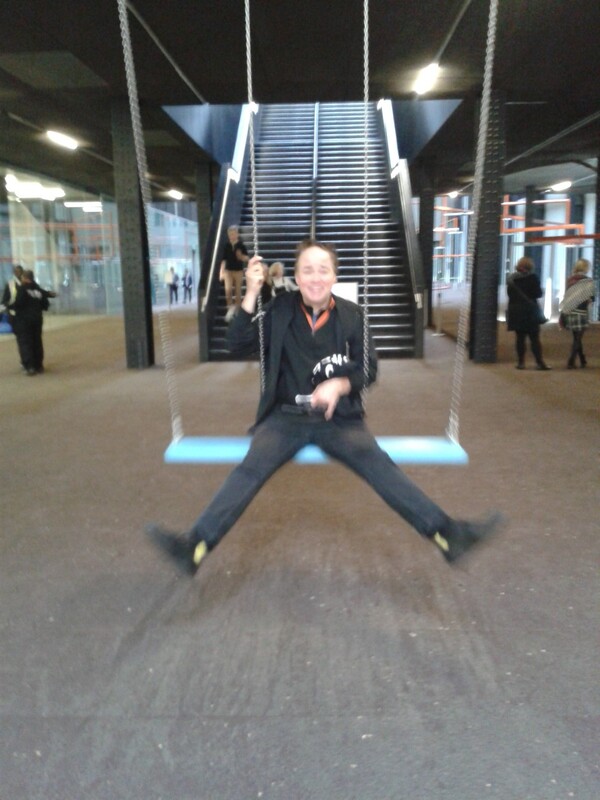 "I have worked part time at the Tate Modern since the new building opened, so 2 years in June. 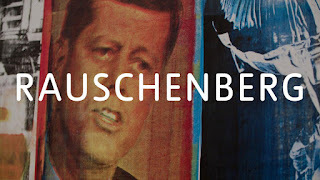 As a screen printer, the Robert Rauschenberg exhibition was incredible. I've never spent so long in one exhibition space as I did with the screen print room, the scale of them was awe inspiring. Otherwise, an exhibtion that has always stayed with me was Mira Schendel, an artist whose work I had never seen or known of before." 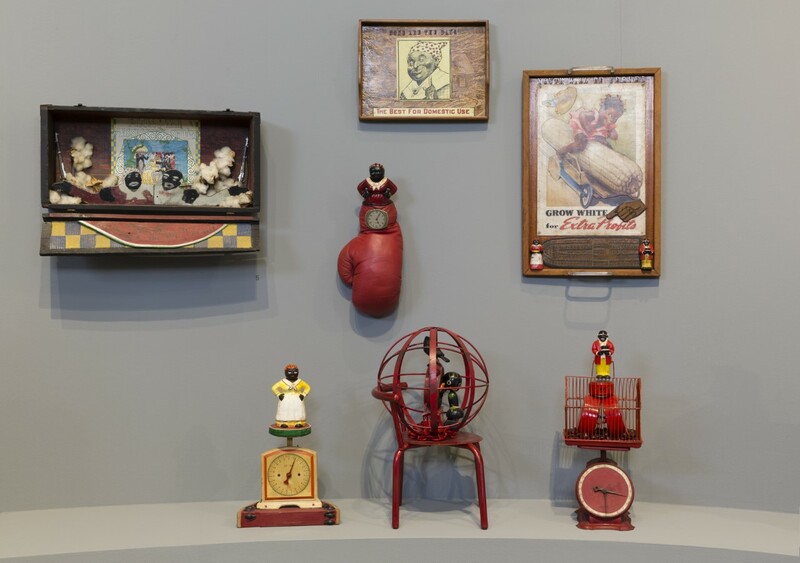 Q) What can you tell me about the work you're exhibiting in the Tate Modern show? 'Till Dawn Are We' was inspired by a quote from The Jungle Book. I loved the idea of a panther ruling the dark jungle at night. I had this image of him watching the jungle, the same sleek colour as the sky and that when dawn would come, the darkness would leave and his reign would fall. It's a limited edition screen print I designed and printed myself last year in my studio. The image is compiled of different hand drawn and painted elements which I assembled in photoshop before making the nine different layers of this print. It's a limited edition screen print and all printed in my own studio. Nature and colour are some of the biggest influences on my work so I feel that this print really shows the kind of work I enjoy making." Q) Is there anything you have to declare / do you have a favourite quote, thought or joke you'd care to share? "Before working at Tate, I co founded a print and illustration collective called Underway Studio where I work as much as I can. Most of us met at university and had a similar work ethic and vision for the future. I feel it is invaluable to work alongside and collaborate with other creatives and it has definitely benefited my own work. Underway Studio takes on creative commissions, runs screen printing workshops and teaching and prints editions for other artists." Q) Where did you grow up and what kind of education did you receive? "I was born in Newcastle Upon Tyne and grew up in Norwich from age 5. At 19 I moved to London to do a Foundation course at Chelsea College of Art and then BA Sculpture at Central St Martins, graduating in 2010. 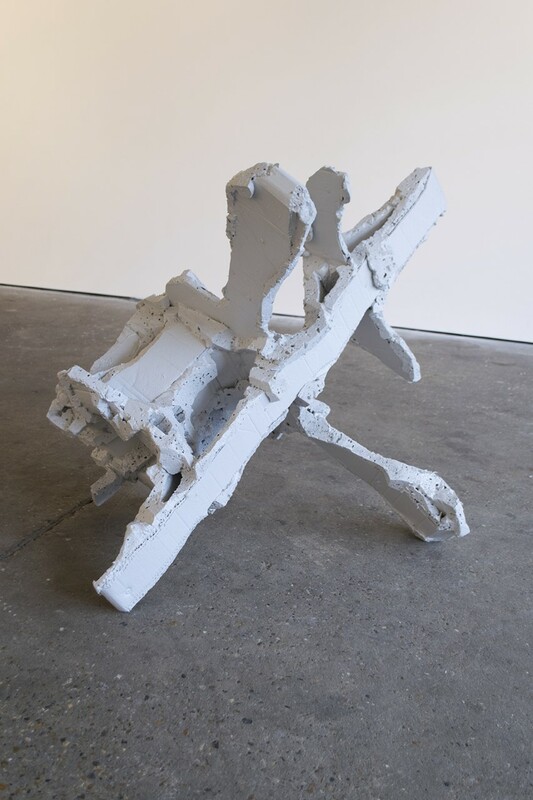 I am a recent graduate of Slade School of Fine Art MFA Sculpture in June 2017." Q) How long have you been working at the Tate and what's the best show you've seen there? 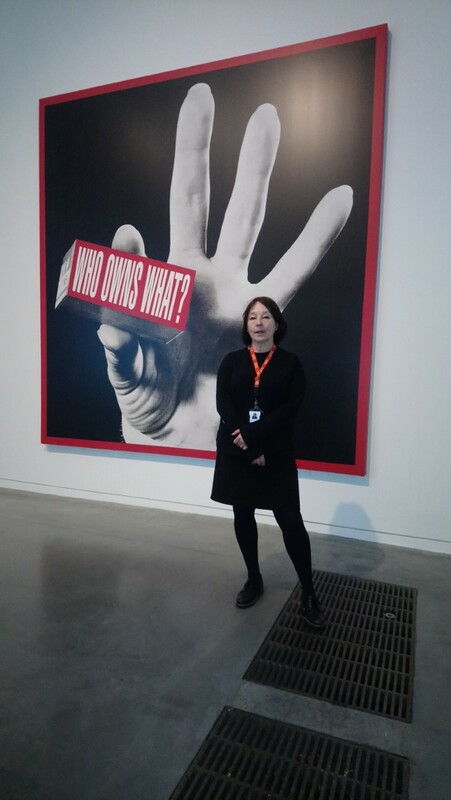 "I have worked at Tate on and off since 2011 when I joined the Membership and Ticketing team. In 2015 I joined the Art Handling team and work across the three sites, Modern, Britain and Stores. My favourite Tate show was definitely Phillipe Parreno's Turbine Hall commission Anywhen. The experience of lying on the carpeted floor searching out the inflatable fish in the building's roof was such a subtle way to make sense of the space. The constantly shifting audio and video landscape created an environment in transition. I was so aware of the space and my own body. The cuttlefish video was took me down to the depths of the ocean and our undersea evolutionary roots." Q) What can you tell me about the work you're exhibiting in the Tate Modern show? "The piece is called Marrow. It is a sculpture made of a ply wood frame, clad in card and foam, then carved and finally rendered all over in household gloss paint. The process of these sculptures is very much about making by hand and allowing the form to change through making. I want the works meaning to be slippery and exist beyond binaries, referencing both anatomy and organic forms as much as the synthetic and mechanical. The work appears familiar and puzzling at once, existing between organic and architecture, ancient and futuristic, decay and regeneration. Q) Is there anything you have to declare / do you have a favourite quote, thought or joke you'd care to share? This is my favourite poem. 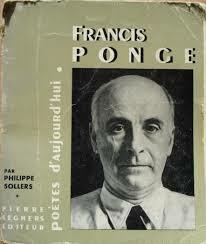 Its called The Frog by Francis Ponge. I think it describes the process of art making perfectly; the sense if fascination with the extraordinary as well as the necessity to let an idea develop without constraint. The Frog When the short little needles of rain bounce off the saturated meadows, an amphibian dwarf, a one-armed Ophelia, barely as big as a fist, sometimes springs up from beneath the poet’s feet and throws herself to the next pond. She is nervous, let her flee. She has pretty legs. Her whole body is gloved with impermeable skin. Hardly meat, her long muscles have the elegance of neither fish nor fowl. But to escape the fingers, her liquid virtue goes to efforts of staying alive. Goitrous, she pants… and that fat beating heart, those wrinkled eyelids, that haggard mouth Move me to release her. Q) Where did you grow up and what kind of education did you receive? "I was born in a small town called Eaglescliffe in County Durham in the north east of England where I attended a mixed comprehensive school. In the late eighties I moved to London working in various temporary administration, secretarial/office jobs. After two years I left London and moved to Israel to live and travel for almost a year. When I lived in Israel I visited Palestine and the following years I travelled to Asia, Africa, Europe. 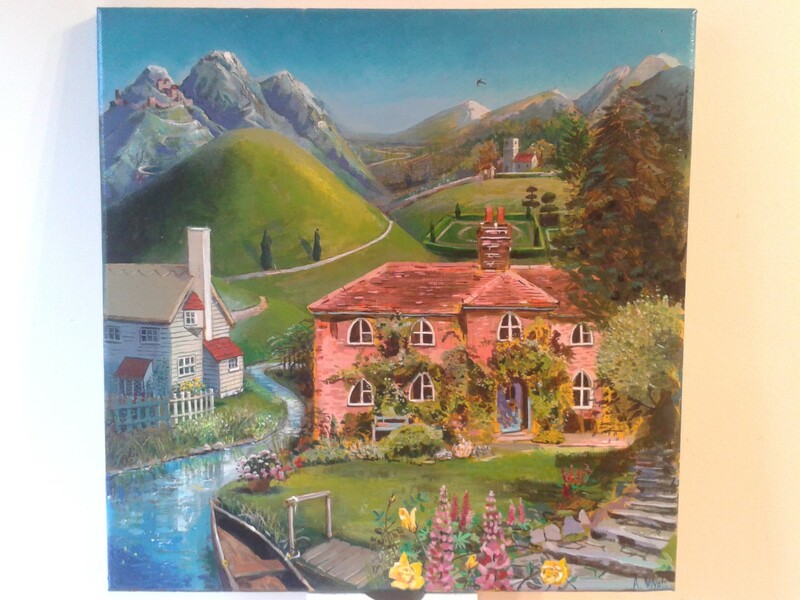 I moved to Brighton in the early ninety's, in 1997 I studied a Foundation in Fine Art at Northbrook College. In 2000 I studied a HND Fine Art at Northbrook College in Sussex (partner University of Brighton) In 2011 I returned to Northbrook to study a BA (HON) Fine Art, I was fortunate to have the same inspiring tutors who taught me previously and encouraged me to experiment and develop my practice in a way that was true to myself. 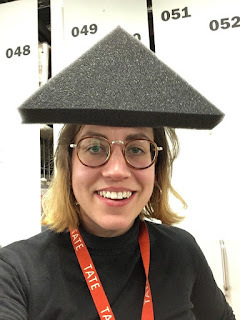 In 2013 I moved to London and found work at Tate Modern and Tate Britain as a Visitor Experience Assistant." Q) How long have you been working at Tate and what is the best show you have seen there? "I have worked at Tate for four years this May. 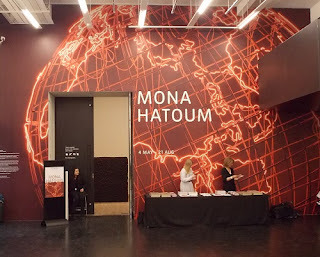 My favourite exhibition? difficult to say as I have seen so many stunning exhibitions at Tate. A couple of those that left a lasting impression are Yayoi Kusama, 2012 and Mona Hatoum, 2016. 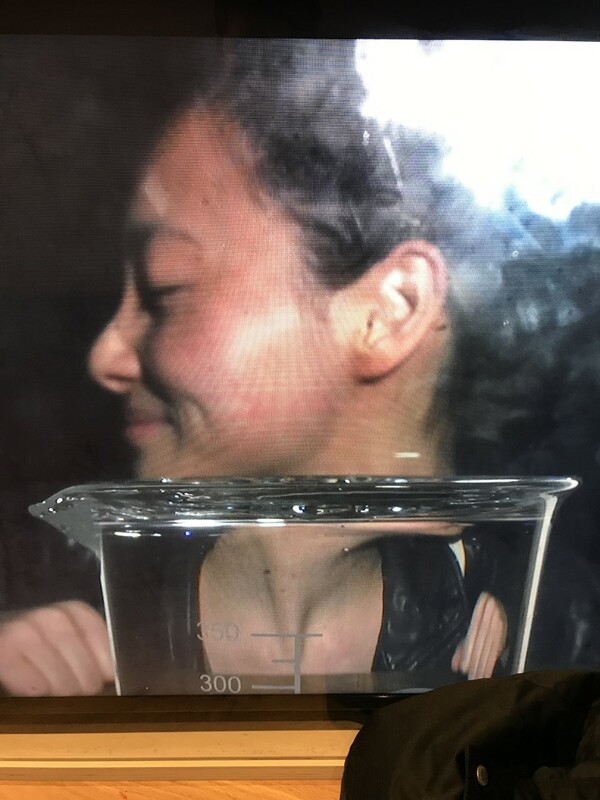 I am now a fan of Joan Jonas an artist I have just discovered this month at Tate Modern"
Q) What can you tell me about the work you are exhibiting at the Tate Modern show? "Made to Measure is a beautiful traditional floral design net curtain. 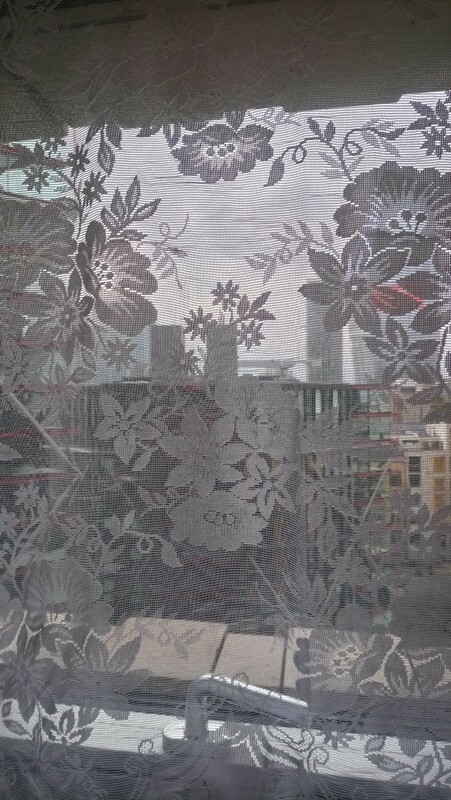 The all over design makes this top quality net curtain providing privacy keeping neighbours and paranoia at bay. 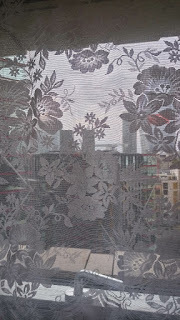 "I am exhibiting Made to Measure a pair of net curtains at Tate as it seemed quite fitting with current concerns relating to spying, privacy, what is private and what is public? 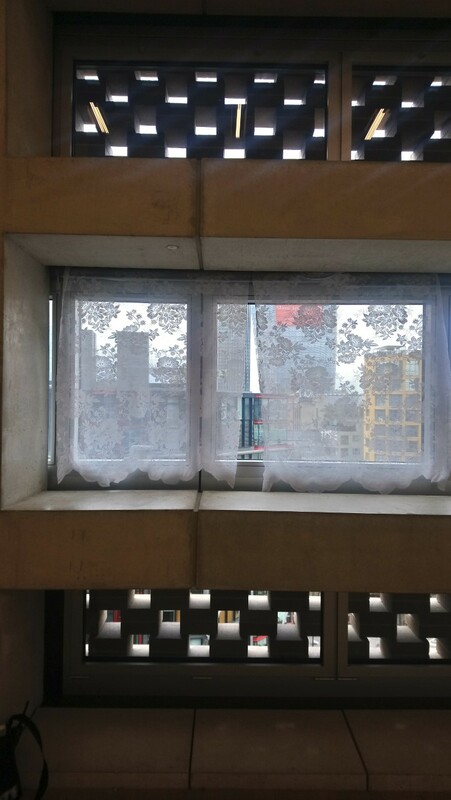 Photographs of net curtains, windows in high rise apartment blocks, have featured in my previous work where I transferred images onto found concrete roof tiles to make a sculptural piece to represent a city scape. 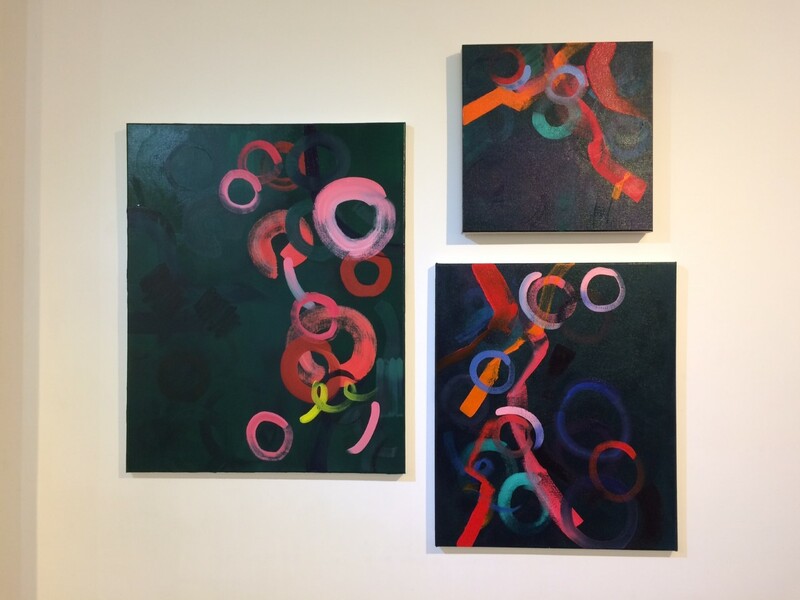 My practice is inspired by my travels and my interest in the social dynamics within the urban landscape, I like to remove myself from familiar territory and get lost in a new environment. I use photography to record these events that enable me to create visual journals, my intention is to filter these experiences by experimenting, juxtaposing images by screen printing or transferring images onto various materials until something resonate back to me or take on a new meaning." Q) How can people find out more about your work? Do you have a website or do Instragram? 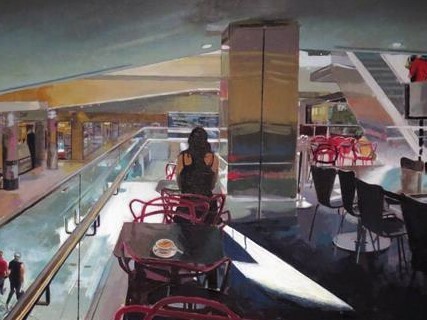 You can see my work here: Http:///janebrannigan. Tumblr.com. 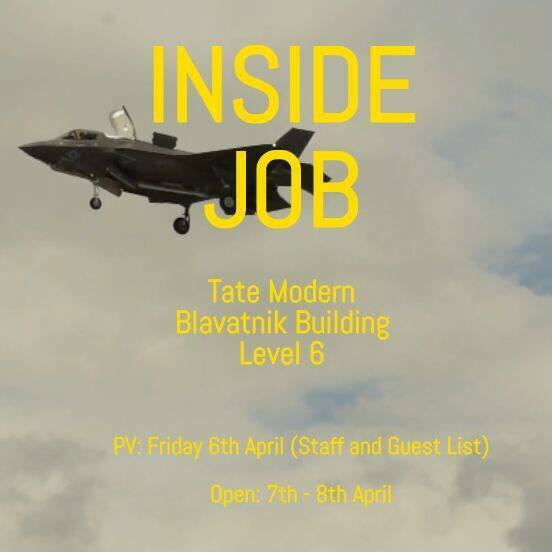 Q) What is the best thing about working at Tate? 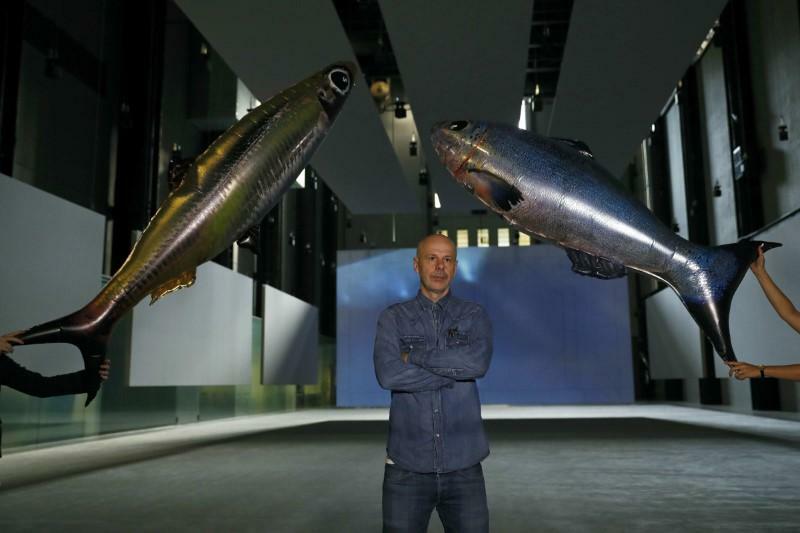 "One of the best things about working at Tate is you get to meet a diverse range of interesting people. When you work inside of an exhibition or a gallery over a long period of time you see things you may not of seen or understood initially.. Some art work takes longer to process or understand it is a bit like travelling, you have to hang around to let the experience unfold or resonate in some way. 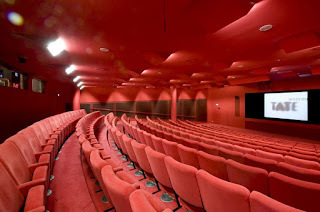 The Starr Cinema Auditorium at Tate Modern is one of my favourite places to work and visit, the acoustics are impressive as are most of the cutting edge films, and events held there. Every day is a new day of discovery." Q) Where did you grow up and what kind of education did you receive? "Most of my childhood was spent growing up in a tiny council house with my Mum in the middle of Cambridgeshire. From the accent, people assume I'm a bit boujie and probably well educated but I take pride in my special measures secondary school and humble little house. When I look back at my time at school I don't necessarily remember learning anything, just the friendships and the weird musky smell in the science corridor. I'm now finishing up at Goldsmiths, which has (mostly) been a dream and it's really nice to know I've come so far from my middle-of-nowhere town." Q) How long have you been working at the Tate and what's the best show you've seen there? "I've been working at Tate Modern for about 4 months so I'm still quite fresh. 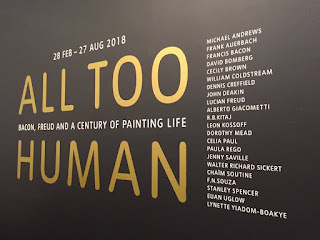 The best show I've seen recently is All Too Human at Tate Britain but I'm really looking forward to seeing Picasso 1932. 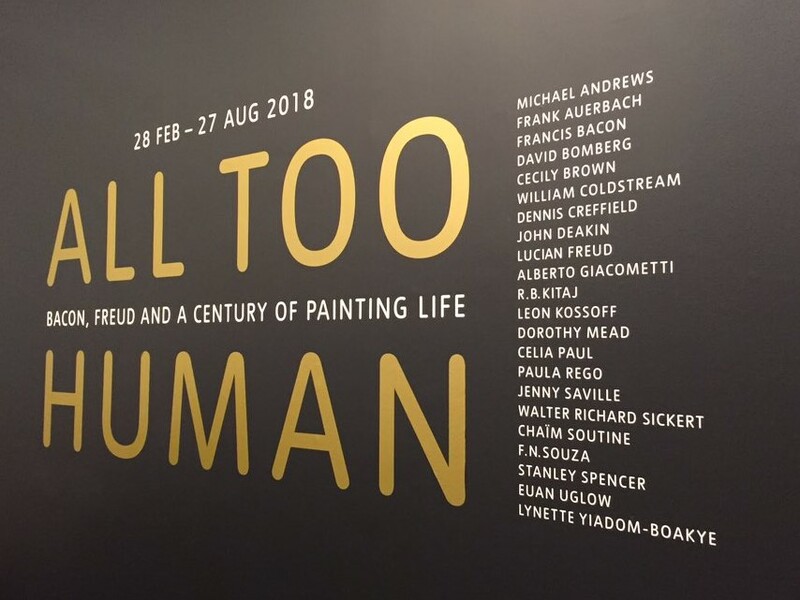 All the exhibitions I've worked amongst so far have a special appeal to them - even Modigliani's ever long collection of reclining nudes has started to grow on me a bit." 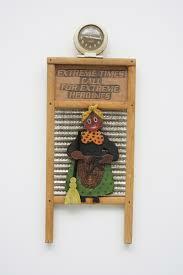 Q) What can you tell me about the work you're exhibiting in the Tate Modern show? 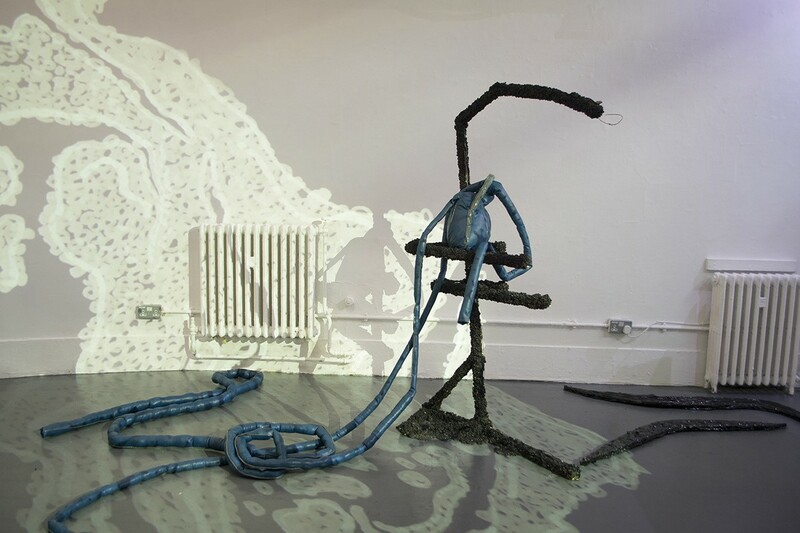 "The work I'm exhibiting is one half of my final piece for my BA. 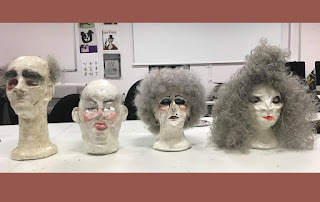 I've made four sculptures - or 'heads' of characters. These characters represent the elite members of society and are actually inspired by some of the visitors I see at work. I've taken a kind of satirical approach to them: antagonising them and flipping the capitalist hierarchy we're all familiar with today. The counterpart is a 4 piece series of comic strips, showing their interactions with their working class confidentes to highlight the societal differences between the bourgeois and the proletariat. Overall, I wanted to explore what would happen if the tables turned; if those that are the most powerful became the weakest and vice versa. But, it is important to remember that while the spectator may laugh at, be offended by, or feel completely neutral towards my work, there is a poignant reality behind what I'm trying to convey - the working class suffer every day so that 'characters' like these can exist unscathed." Q) Is there anything you have to declare / do you have a favourite quote, thought or joke you'd care to share? "I'd like to say something inspirational but I'm no good at that. So here's a really bad joke that I was told in my first week of working at the Tate - How do you turn a duck into a soul singer? 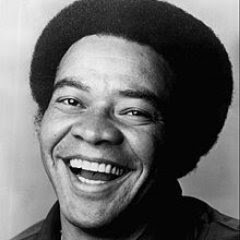 You put it in the oven until it's Bill Withers. Classic." Q) Where did you grow up and what kind of education did you receive? "I was born in a city in the Midlands of China, surrounded by thousands of lakes. The district where I grew up was once a British concession area during the Victorian/Edwardian period. The streets are choked with Neoclassical buildings. 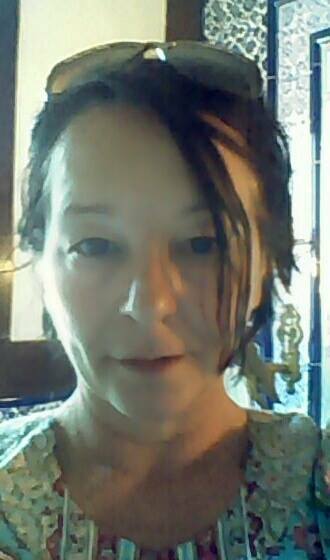 And in the summer, the relentless heat will get you soaked in sweat.I studied Life Sciences at University of Bristol and Imperial College. My family are quite traditional, so Art or English Literature had never been the option for me. However, in my second year, I was by chance cast in a show at the Bristol Old Vic Theatre. It reignited my passion for theatre. And eventually, I went to RADA to become a director and producer." Q) How long have you been working at the Tate and what's the best show you've seen there? "I joined the Tate in May 2017. My favourite show is the Soul of a Nation exhibition. I was particularly intrigued by Betye Saar’s work. 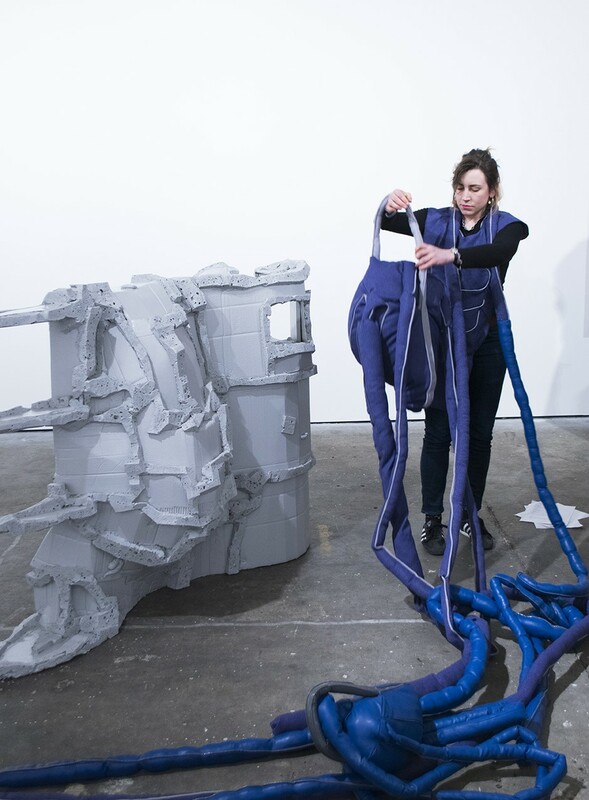 Her art integrates ancestry, mysticism, storytelling and political statement. There’s a kind of sorrowful and unsettling feeling about their presence." Q) What can you tell me about the work you're exhibiting in the Tate Modern show? "Dry Room is an associate dance video of a cross-disciplinary piece that I wrote and produced last year for the World Stage Design Quadrennial. It is a collaboration between my Studio and the videographer Jevan Chowdhury. 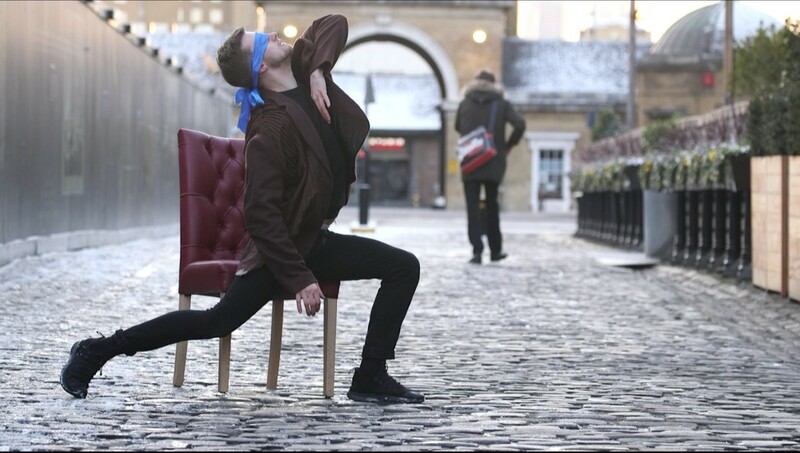 To make it an independent piece from the theatre production, we used London cityscape as the backdrop and tried to capture the sense of isolation, self-estrangement and social meaninglessness. 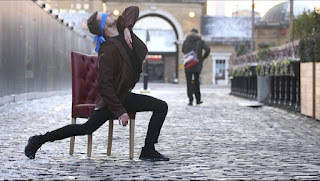 It is also about breaking the boundary of theatre, responding to the environment, and exploring non-conventional space. 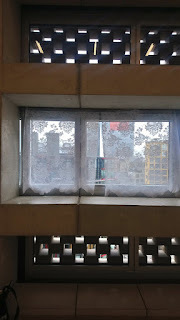 Canary Wharf’s postmodern architecture and the snow (we didn’t plan it!) definitely enhanced this notion. Q) Where did you grow up and what kind of education did you receive? I grew up in south east London and I still live there now. I studied fashion at Central Saint Martins, and went on to form my first partnership and fashion label “Baby!”.This lasted for 10 years." Q) How long have you been working at the Tate and what's the best show you've seen there? 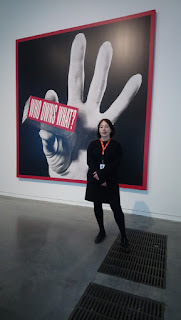 I have worked at the Tate about 12 years. 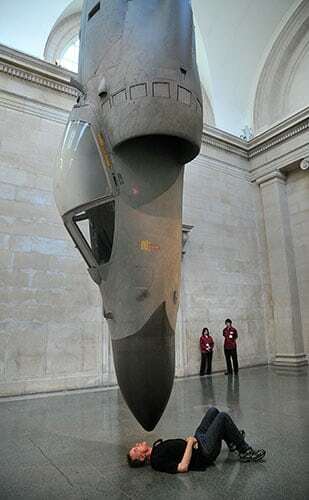 My favorite exhibitions to date have been Fiona Banner’s “Harrier and Jaguar” alongside Mike Nelson’s “The Coral Reef”. Q) What can you tell me about the work you're exhibiting in the Tate Modern show? 3 years ago, I partnered up with a long term family friend, Harry Palmer, who always mentioned that I should put my designs and artwork to use, and I did not want to let my fashion background to go to waste. 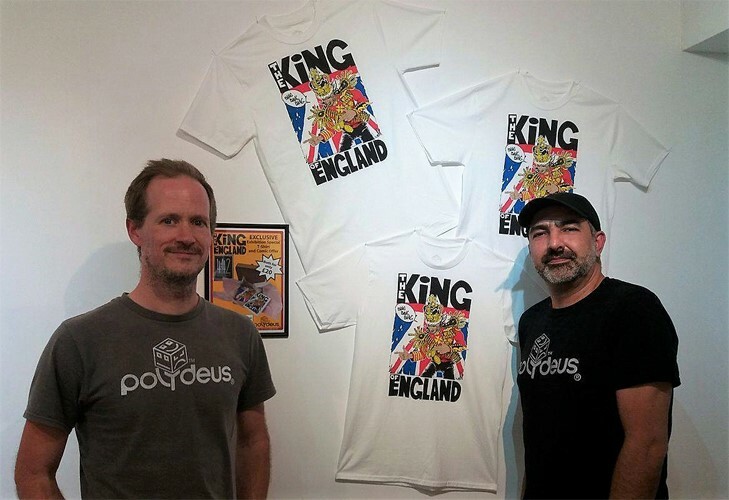 So we formed Polydeus​ a project that would take inspiration from the future, while referencing images, themes and movies from the past that have stayed with us from children through to adulthood. 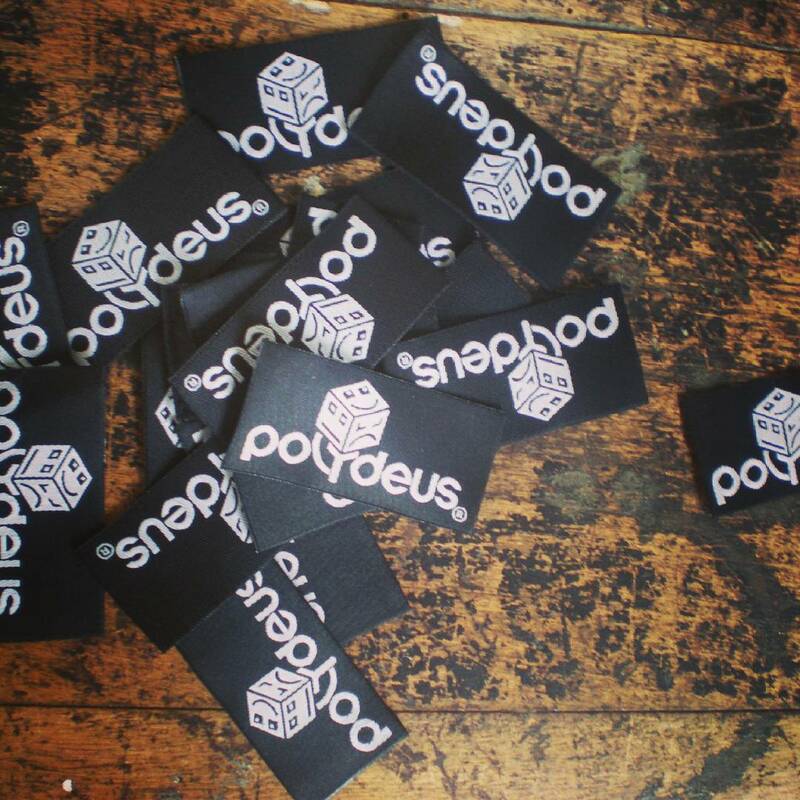 After a long process we decided that the best medium to do this would be screen printing. This would be a new discipline for both of us as the technique was a new skill for me and a long way from the web design talents of Harry. 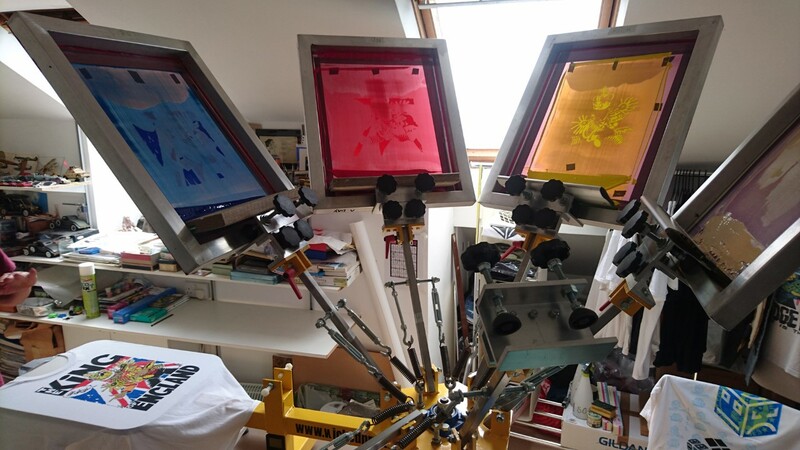 Borrowing a printing carousel, exposure unit and a box of frames and inks, we set about teaching ourselves the art of screen printing. The journey was a long one and there were many mistakes and rejects on the way but we persevered and finally we were producing prints that we were very proud of. We both found the process very rewarding. We have been producing hand printed t-shirts for almost a year now but our next step was always to produce individual handmade clothing and garments as well as exploring different mediums to expand the world which is “Polydeus". After showcasing our work “ The King “, at the recent 4:42 Exhibition with a hand printed t-shirt and our first graphic novel, we decided to approach this exhibition differently and produce something new. Our exhibit, will feature a handmade jacket, using the skills and techniques I have learnt over the years. The jacket will have a lining comprising of printed silk featuring scenes from a short animation that will be available to view at the exhibition using your mobile phone. The animated short will introduce a character called Dot, a woman fighting to survive in a post apocalyptic world. From our appearance at “Inside Job”, we would like to show that art does not have to be restricted to the usual mediums of paint and canvas, sculpture and other traditional forms. 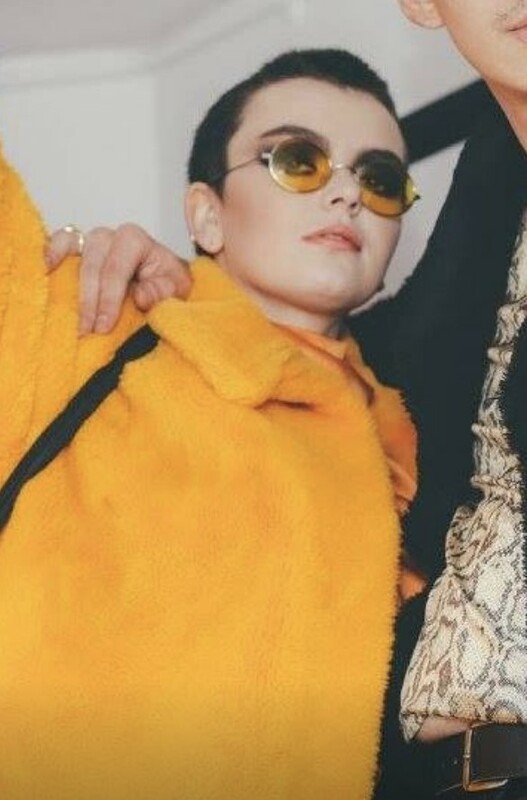 By using the artwork in the form of the printed lining as part of the jacket’s design, it can be mobile, allowing the wearer to take the art to the masses without the restrictions of being exhibited within the confines of a gallery space." Q) Where did you grow up and what kind of education did you receive? !My family moved from London, when I was six, and I grew up on the edge of a rural market town in Essex. eveything was brand new; house; furniture; school, ironically this encouraged my interest in social history. At sixteen I went to Colchester School of Art, and two years later won The Alfred Munnings Award Scholarship to visit Rome. It was the first time I had ever experienced Italian ice-cream (blackcurrant) I never knew ice-cream could taste so good! Photography interested me (at the time) and I worked as a full time Photographer for three years, gaining City & Guilds in Photography . I developed my own style of photo montage, then worked for many years, doing freelance illustration for publishers and advertising. 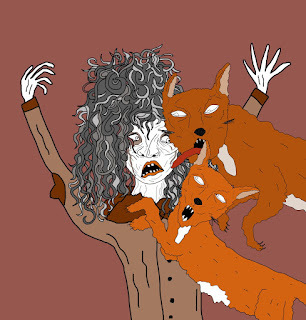 During this period I went from all hand produced art work to digital; Photoshop. 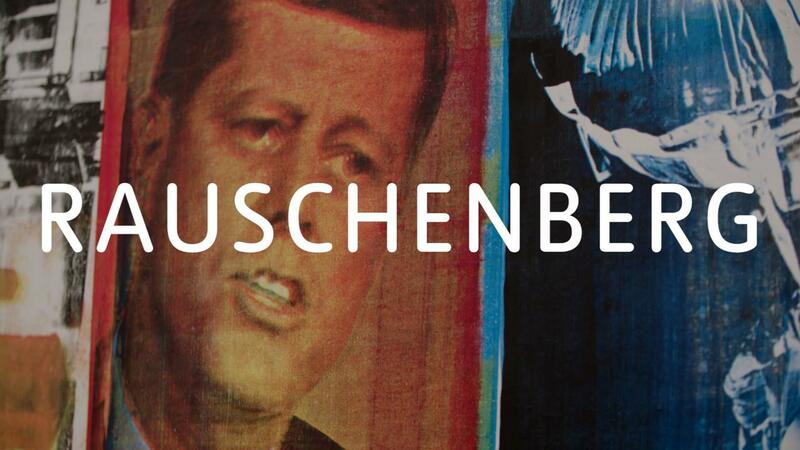 I studied Multi Media at St Martins." Q) How long have you been working at the Tate and what's the best show you've seen there? 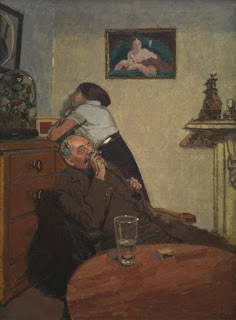 "Eleven years, so many fabulous exhibitions, which communicate something wonderful, but one's that stay are Richard Hamilton, also Yayoi Kusama, I would dearly love one day, to see a Walter Sickert retrospective at Tate, as he is my favourite artist." Q) What can you tell me about the work you're exhibiting in the Tate Modern show? "I have returned to painting only very recently. The public appeal and allure of popular, and kitsch art, has always fascinated me, I wanted to tackle the Thomas Kinkade factor. I considered photomontage, but the end result is all painted. I have been working on a series of small paintings, recording pubs which have closed (too many)in the East End, painting them subsequently, and trying to evoke a ghost like atmosphere, with part collage - of their previous existence. 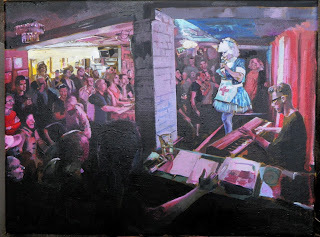 I also recently painted my brother aka; Chamonix Aspen, winning a drag queen competition at the famous Halfway to Heaven pub in the west end"
Q) Is there anything you have to declare / do you have a favourite quote, thought or joke you'd care to share? 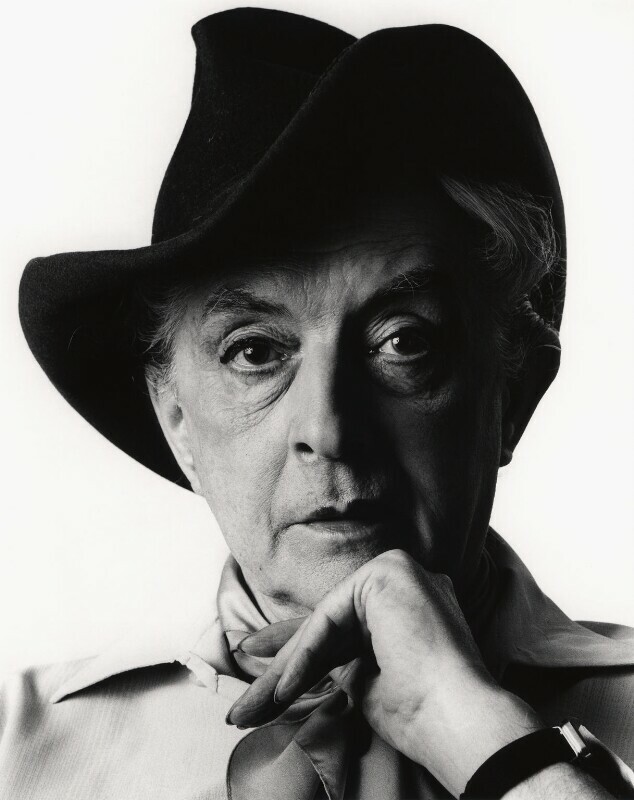 "Don't spend hours deciding 'what to wear' to that party; just wear yourself" Quentin Crisp.